The surging fundraising and poll numbers for Green Party presidential candidate Jill Stein since the end of the Bernie Sanders campaign must be hitting a nerve, because Democratic insiders and the mainstream media are resorting to smear tactics. Stein hopes to capitalize on disgruntled Bernie backers, who ideologically have more in common with the progressive medical doctor than the neo-liberal Democratic nominee. This is a mockery. We deserve *at least* 2 viable options for president. For starters, let @DrJillStein & @GovGaryJohnson into the @debates. A number of media outlets have published scathing and misleading stories about Stein and her running mate Ajamu Baraka, along with rumors circulated on social media by Clinton supporters. The disparaging articles about the Green Party's convention this past weekend further pushed the stereotype that Greens are dirty, unrealistic hippies. The New Republic published an article called, 'The Green Party Has No Shame', which referred to the apparent cheek of the party in appealing to Sanders supporters who don’t want to fall in line behind Clinton. The Huffington Post, founded by long-time Democratic Party operative Arianna Huffington, published a number of anti-Stein articles including ‘The Progressive case against the Green Party’s Jill Stein,’ which paints her as a peddler of fear and paranoia and a panderer to the fringe. ‘Jill Stein’s dangerous anti-science campaign’describes her as “shrewd” and Trump-like. Dr Stein has been accused of pandering to the anti-vax crowd, largely stemming from a Reddit 'Ask Me Anything' (AMA) she did in May. While her response contains skepticism about the impartiality of those regulating medicine, the internal medicine doctor went on to praise the effectiveness of vaccinations, contrary to what she's been accused of. @jkellyca How can Stein be anti-vax when she speaks out publicly and repeatedly in favour of vaccines? The Washington Post asked her about this last week. Her response failed to reveal the ‘crazy anti-vaxxer’ portrayed by her opponents. Stein, like many people, has concerns about the effects of GMOs and pesticides, whereas Clinton surrounds herself with 'Big Ag' and 'Big Pharma' insiders since her time as first lady. 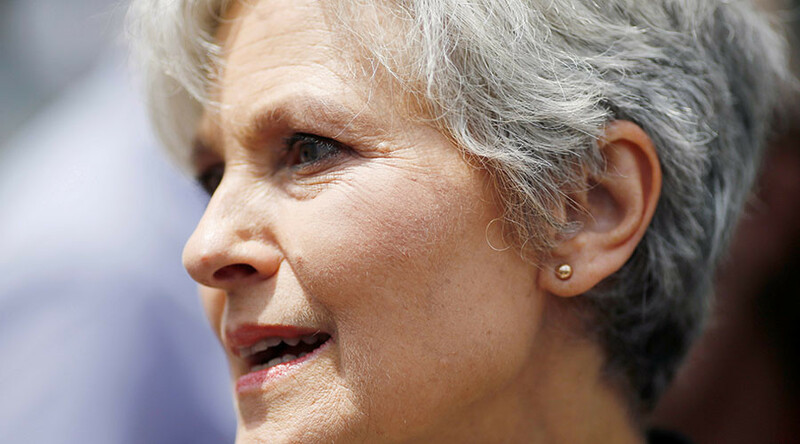 Stein’s lack of political experience has been touted as a reason to dismiss the Harvard-educated doctor. However, her position as an anti-establishment outsider is a selling point for her independent-minded supporters, particularly in comparison to the experience of a reality TV star/billionaire businessman with four bankruptcies on his record or a career politician/lawyer who voted for the war in Iraq and pushed fracking on the world. In a smear as old as the Cold War, and used by Republicans against Democrats for years, Stein’s trip to Russia and attendance at an RT 15th anniversary event is enough for many to paint her as a Kremlin shill. While Democrats and members of the media echo this smear with glee, they fail to remember the same dirt was slung at Bill Clinton in 1992, Sanders for daring to honeymoon in Russia, and Hillary Clinton for her entanglement with the Podesta Group, her foundation, and a uranium mining deal with Russia when she was secretary of state. One area where Stein and Russia are on the same page, but differ with Clinton, is the future of NATO. One of the more bizarre angles used in covering Stein’s campaign is the focus on how much money has been spent on TV ads. The Washington Post starts its article with, “The campaign of the long-shot Green Party candidate, Jill Stein, has spent $189,000 more on TV advertising for the general election than the Republican nominee, Donald Trump,” before it goes on to reveal Trump has spent zero. This narrative fails to take into account the media’s enthusiastic dedication to providing Trump with free, prime time access to the American people by giving him air time disproportionate to any other candidate. Needless to say, none of the main networks carried the Green Party convention, despite their wall-to-wall coverage of the DNC and RNC. quick question. has @Morning_Joe had #JillStein on yet? Some guy (@evanmcmullin) decides to run and he already has national coverage? WTH? The article later says, “Some PACs supporting Trump have reserved ad time, spending a little over $8 million,” which, although not directly from the Trump campaign, puts Stein’s $189,000 into perspective. Then there’s the fact that Stein has not yet met the 15 percent threshold to participate in the upcoming televised debates, nor is she invited to do regular interviews on mainstream media outlets.